Ice Dancing in Providence to Open the Winter Olympics! Just one day before the Olympic opening ceremony kickoff in Pyeongchang, ice dancing arrives in the city of Providence to salute the upcoming Winter Games. 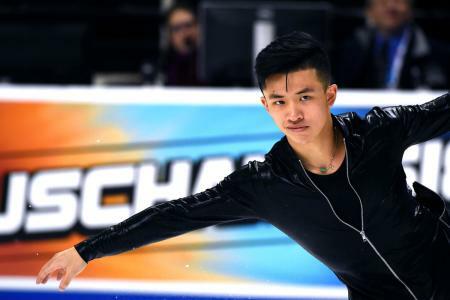 Special guests include Team USA member, Jimmy Ma, known for his viral performance to “Turn Down for What,” alongside other competitors from the Olympic Trials in San Jose, competitors from the New England Regional Championships, and skaters from Rhode Island. The event will be held on February 8 from 5–6 p.m. at the skating rink at the Alex and Ani City Center. The show will be open to the public and admission will be free. The event highlights all four Olympic skating disciplines — Men’s and Ladies’ Singles, Pairs & Ice Dance and Synchronized Skating — just in time to get into the Olympic spirit. For more winter fun, be sure to check out the ice bumper cars at the Alex and Ani City Center. Providence is the first city in New England to offer this exciting attraction. Ice bumper car rides are available Monday through Friday, 4 p.m.–8 p.m., and Wednesday through Saturday nights 10 p.m.–midnight, with tickets costing $12 and reservations available.